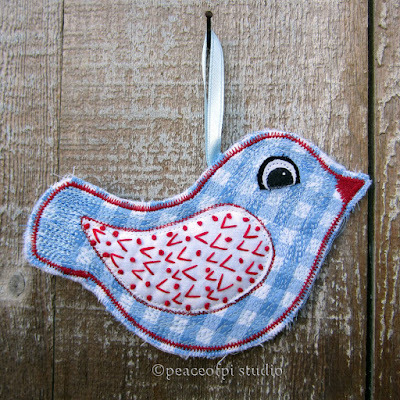 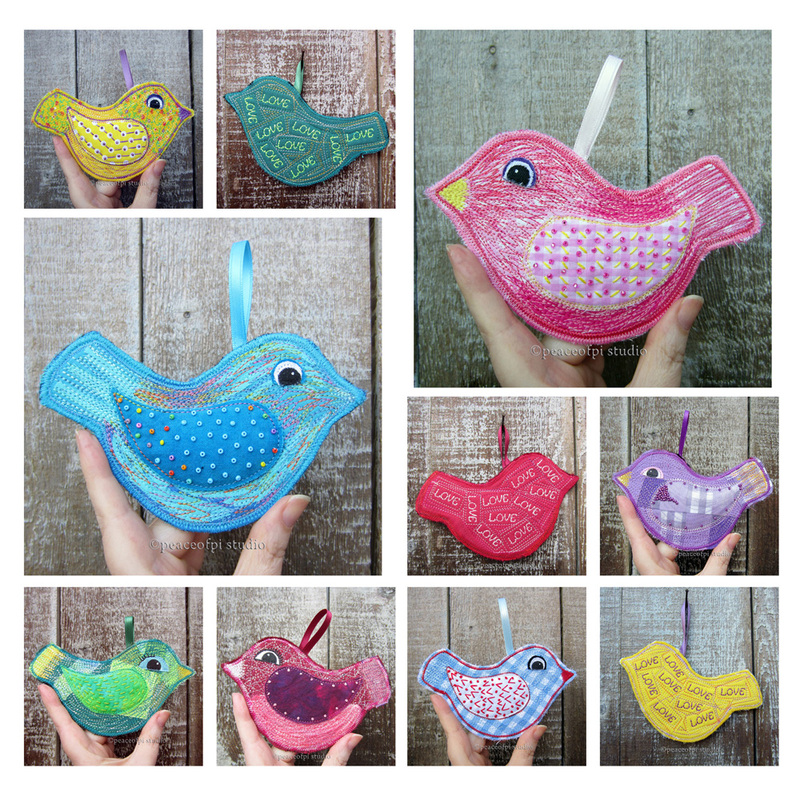 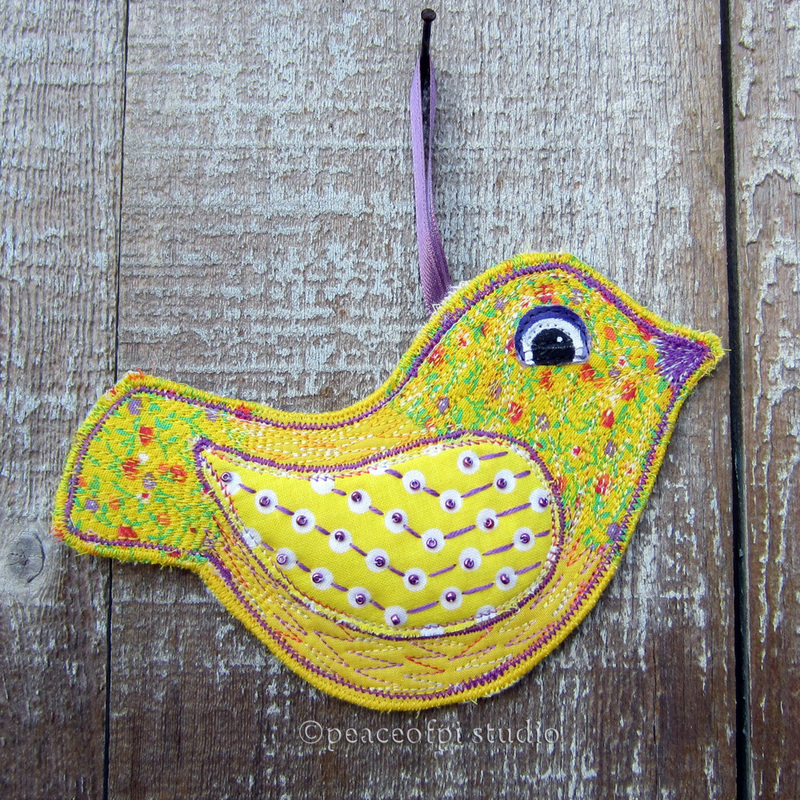 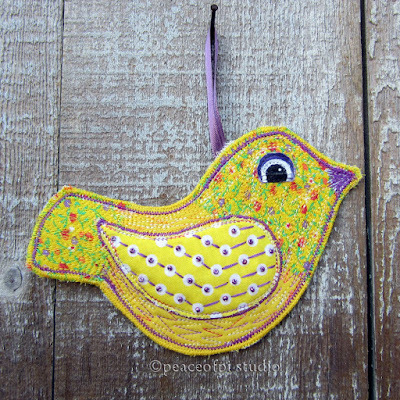 Have a look at these little bird ornaments created in fabric and stitch. 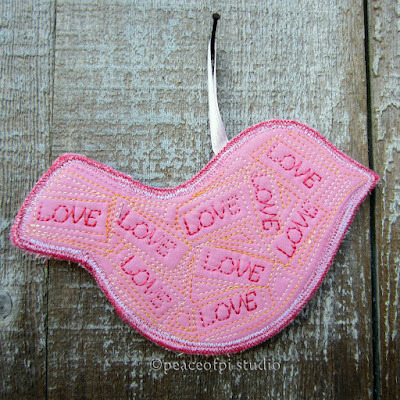 ...and the other side is a solid color fabric with the word LOVE stitched multiple times. A ribbon is added to allow the birds to be hung and displayed. 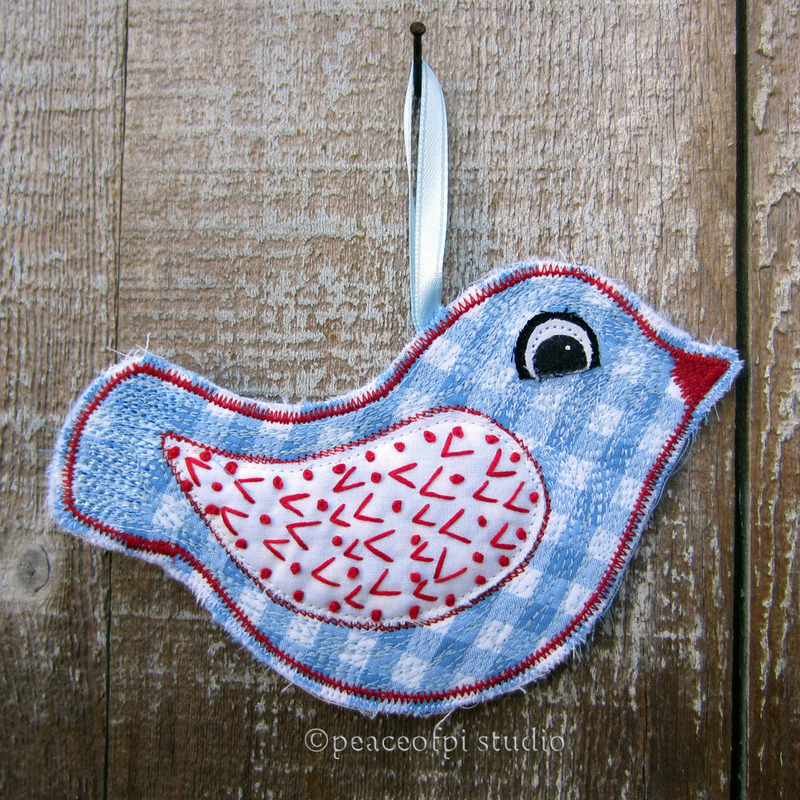 Ready to fly both near and far.